But, first, I’m going to hit you up on behalf of my daughter, Ivy. If you would like to purchase (or donate) some of Ivy’s Girl Scout cookies, click here.You don’t have to if you don’t want to. It’s not as if I give you HR-compliance blog posts practically every weekday without asking for anything in return. But, as further incentive for you to click, for those who purchase or donate five or more boxes, I will donate a box too. Heck, I’ll donate up to 100 boxes, one for each five-box-or-more purchase or donation. So, if you relax the rules for Thin Mints, does that mean you have to loosen the rules for employees handing out union-related literature, for example? What about Preachy McPrayerface using your email to proselytize, if you allow coworkers to advertise their cookie sales there too? The employer must balance the rights of employees to exercise their religious beliefs with the rights of other employees to exercise their different religious beliefs or to be nonbelievers. About 20 years ago, an African-American Delaware woman alleged that she sold two boxes of Girl Scout cookies to a coworker at work, who paid by check. After placing the cookies in the purchaser’s locker, the plaintiff informed the purchaser that the plaintiff had lost her check and wanted another one. It turns out that it’s OK to suspend someone who steals cookies from a coworker’s locker. 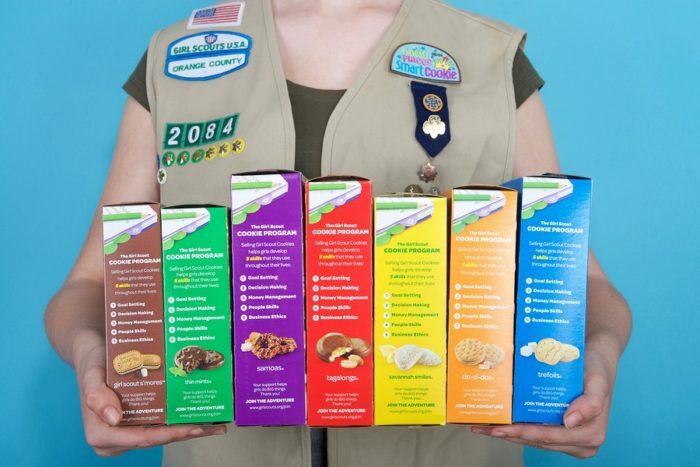 And now, my friends, you know practically everything there is to know about Girl Scout cookies — buy ’em here— and employment law.